While outside temperatures may have cooled, Verizon continues to bring the heat in the latest third party test results. Just this week, we hit a milestone in the RootMetrics® by IHS Markit 2H 2018 U.S. MetroRootScore Reports drive and indoor tests of 125 metro areas. Of the 106 markets tested to date, Verizon is undefeated in 100. That’s better than 9 out of 10cities tested to date–compared to just over 3 out of 10 for the nearest competitor. It’s clear from these results that we continue to extend our lead over the competition. Our team has achieved more market network performance wins than our competitors combined.That’s great news for our customers. Our relentless focus on innovation and continued investment in our network drive these results and underscore our commitment to our customers—to make the best network experience even better. Verizon has been on the forefront of virtually every major network innovation, leading the industry with groundbreaking technology and capability for our customers. For example, when we first introduced 4G LTE in late 2010, it ushered in fundamental change in how people live, work and play. Today, we continue to push the boundaries as we set the stage for next generation tech. Our launch of the world’s first 5G Ultra Wideband Network on October 1 is just the beginning, as we lead the way to unlocking the power and possibilities of 5G. These latest third party results echo what we’ve been hearing throughout the year. This summer,Verizon was ranked #1 in the nation for a record 10th time in a row by RootMetrics***. Other independent testers agree. 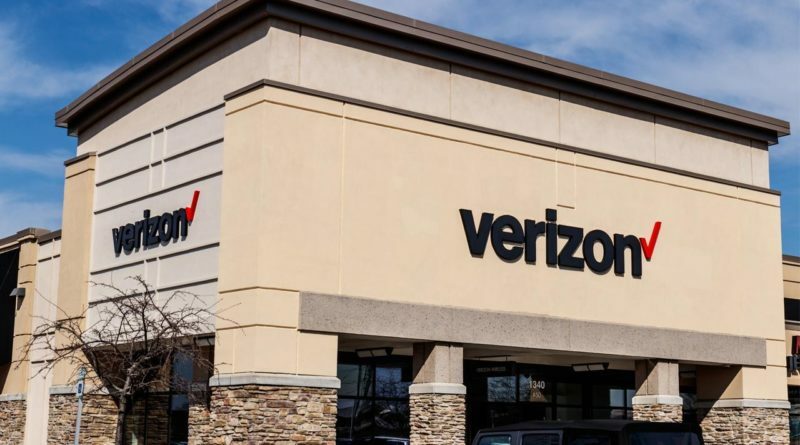 Verizon received more awards than any other wireless provider in the J.D. Power Wireless Network Quality Performance Study****(21st time in a row); has been recognized as best in streaming*****; and was declared the largest 4G LTE footprint “by far” on the U.S. Interstate System in the recent Connectivity on Interstates Report byP3******. In 2018, Verizon has led the way in innovation with no plans to slow down. Our launch in October of our 5G Ultra Wideband network was a significant milestone and we’re just getting started. Verizon’s 5G took a giant leap toward mobility availability inNovember with the first 5G data transmission on a smartphone. We were first with 5G broadband internet service and will be first with mobile 5G service in 2019. At the same time, we continue to expand and enhance our existing 4G LTE network, making it faster and capable of carrying even more network traffic. The two networks will operate in parallel for many years to come, meeting the ever-growing needs of our customers. We don’t wait for the future, we’re building it! Visit our Awards and Recognition page to read the latest news on the accolades we’ve earned for our innovations, diverse culture and corporate responsibility. *Verizon customers received the best overall download speeds across the U.S., according to the study of United States’ mobile performance from January through August2018 by Tutela, a widely installed network testing software that collects more than 2 billion network quality measurements every day in the USA. ** The data used by P3, a global industry-leader in mobile benchmarking, was collected during the period of three months, from June to August, 2018 and comprises of 34.7 billion samples speed samples from 2.3 million users. ***Rankings based on the RootMetrics US National (1H 2018) and Metro (2H 2018)RootScore Reports. Tested with best commercially available smartphones on 4national mobile networks across all available network types. Your experiences may vary. The RootMetrics award is not an endorsement of Verizon. Visit www.rootmetrics.com for more details. ****Verizon Wireless received the highest numerical score among wireless service providers in the J.D. Power 2018 (V1 & V2) U.S. Wireless NetworkQuality Performance Studies rating it Highest Wireless Network QualityPerformance across the Nation. 2018 V2 study is based on 36,320 total responses, measuring the network quality experienced by customers with wireless phones, surveyed January – June 2018. Your experiences may vary. Visitjdpower.com. ***** Based on Nielsen Video Network Scores using data collected nationally between 1.1.18 and 6.30.18. ****** The data used by P3 was collected during the period of three months, from March to May, 2018 and comprised of 2,361,675,005 measurements and 43,565interstate miles.